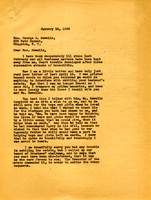 A letter informing Mrs. Howells that Berry was only forced to sue when her husband's estate was being settled because of some legal complications and that it was not done out of ill will. She also requests that Mrs. Howells come to Berry for a visit since she can't travel anymore. 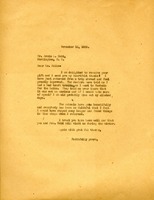 Berry thanks Holt for his gift and reports on her trip to Nauheim.